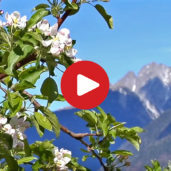 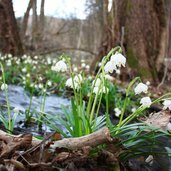 Discovering the Spring Valley in March, enjoying a pleasant walk or bicycle tour through the blossoming orchards in April, and feeling the scent of summer already in May - South Tyrol’s warmest region is perfectly suited for an Easter holiday or a spring getaway! 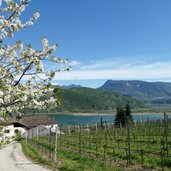 Already at the beginnning of March, a carpet of flowers covers the beautiful Spring Valley extending from Lake Monticolo to Lake Caldaro. 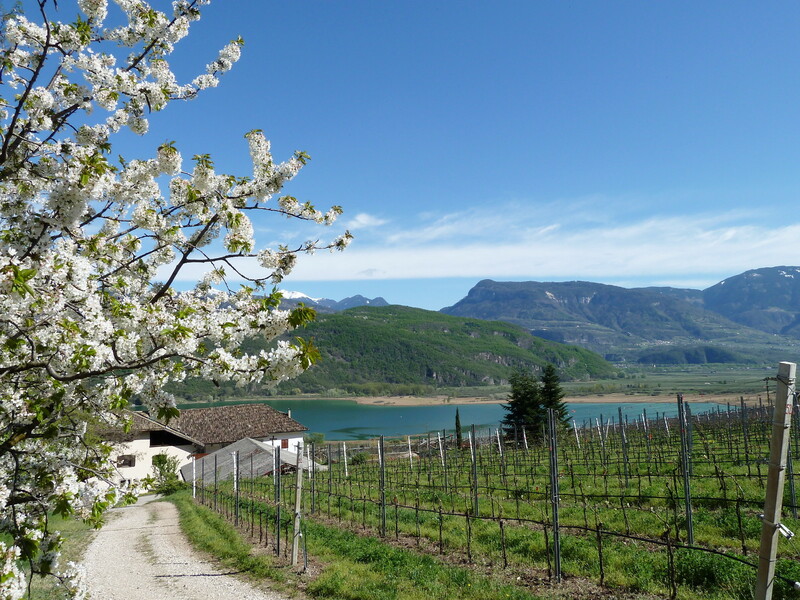 The nature at the lakeside awakes early on, the fruit blossom - such as the cherry blossom in the picture - follows a bit later, usually in April. 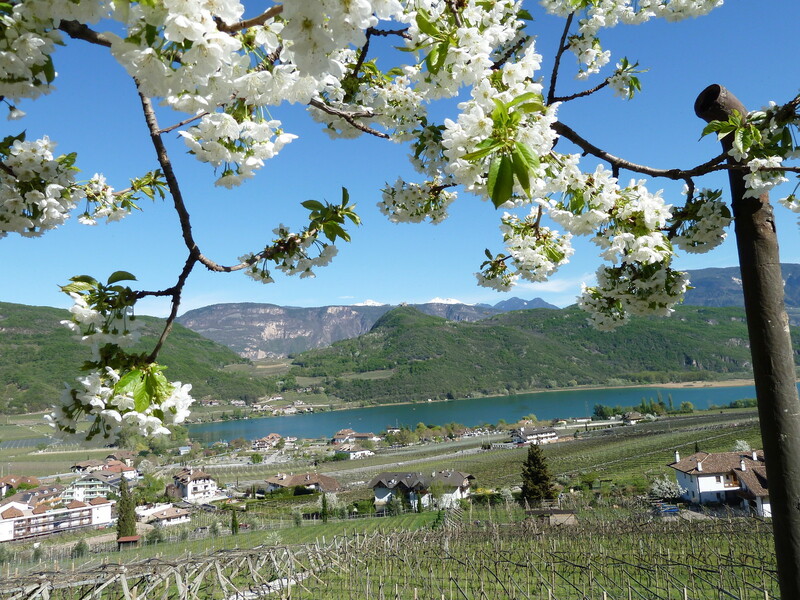 Lake Caldaro in spring… it is dominated by the legendary Castelchiaro ruin which dates back to the 13th century. 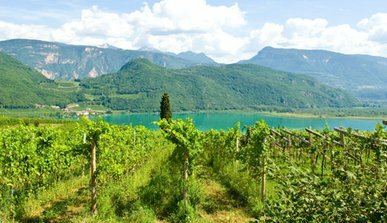 The hiking path around Lake Caldaro invites to a nice 2-hour walk and leads also past the well-known Lake Caldaro Biotope. 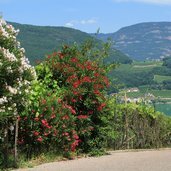 Average maximum temperatures rise up to pleasant 15 degrees C in March, and already to 23 degrees C in the month of May. 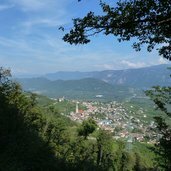 The Kastelaz Path represents a beautiful panorama hiking path with a spectacular view on the South Tyrolean Bassa Atesina area. 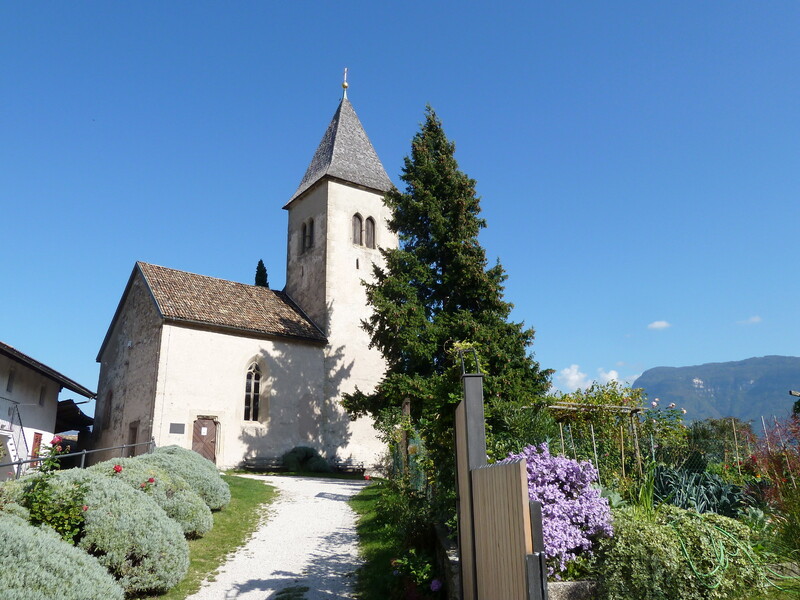 It starts at the small St. James in Kastelaz Church with its famous frescoes showing hybrid creatures, and leads to Cortaccia (Kurtatsch). 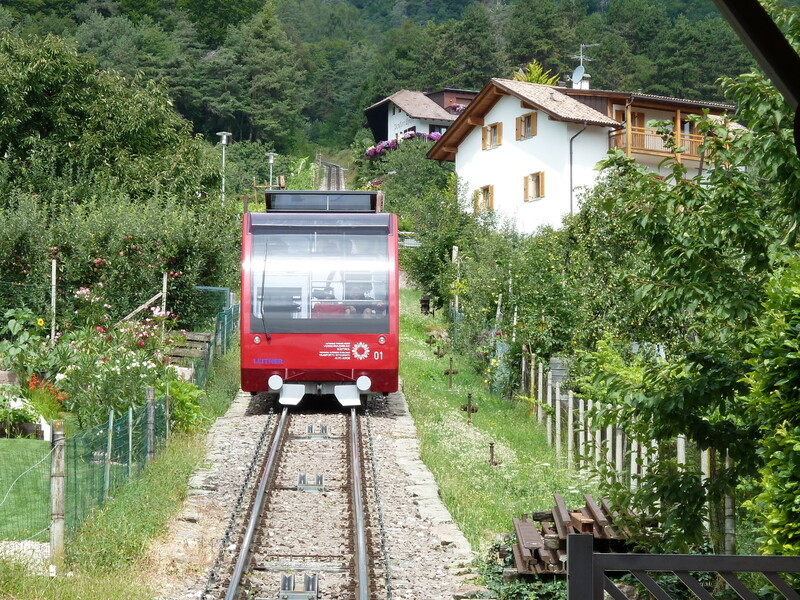 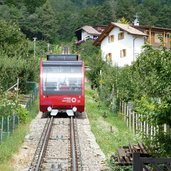 The bright red Mendola Funicular, one of the steepest funiculars throughout Europe, takes you to the Passo della Mendola mountain pass. 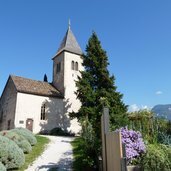 The interesting Hoamet Tramin Museum in Termeno village - in the picture the majestic parish church - re-opens its doors in April. 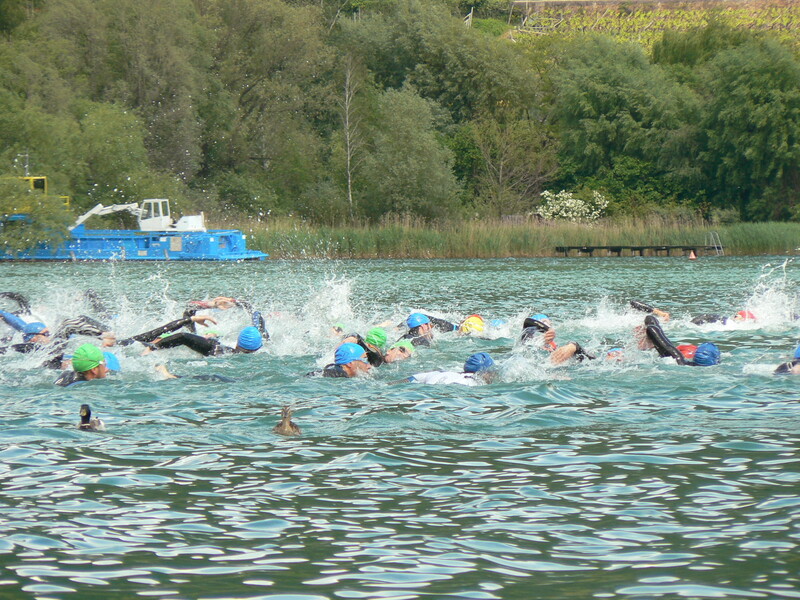 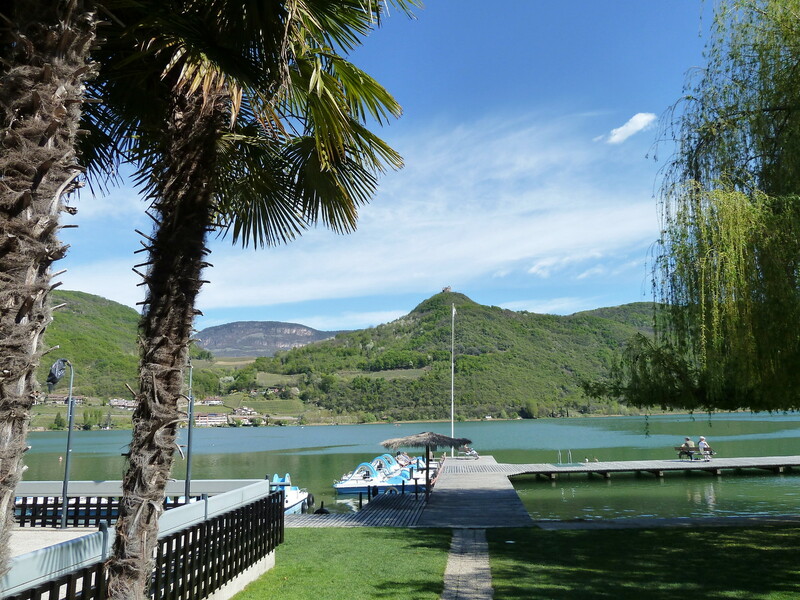 The water temperature of Lake Caldaro, the warmest bathing lake of the Alps, invites to a pleasant swim already in May. 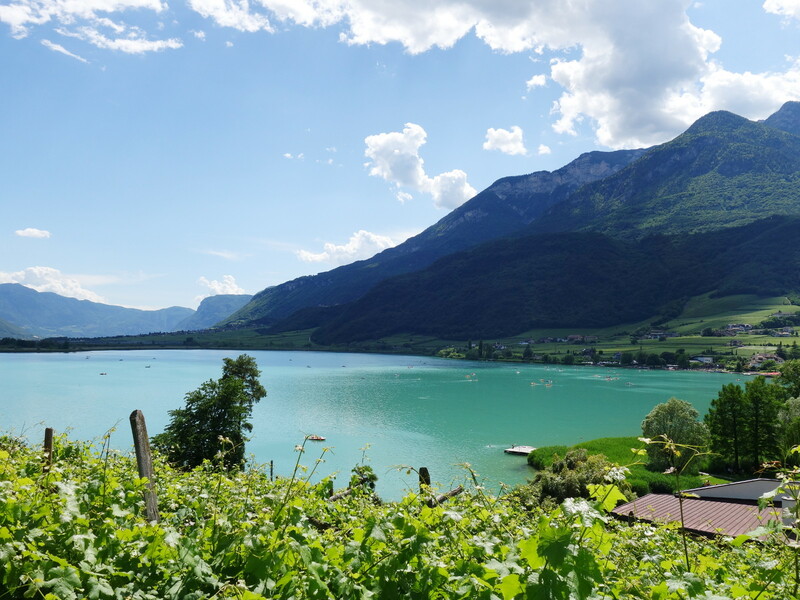 A comfortably warm temperature of about 17 to 19 degrees C in May attracts numerous water sports enthusiasts, among them windsurfers. 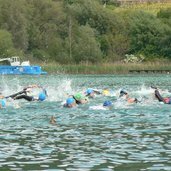 Also the International Lake Caldaro Triathlon with its Olympic distance - 1.5 km swimming, 40 km cycling, 10 km running - takes place in May. 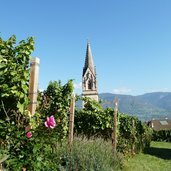 An excellent glass of wine along the Wine Road should never miss: the Termeno Winery, which has existed since 1898, invites to a wine tasting. 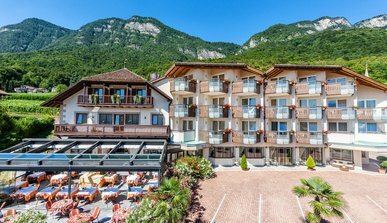 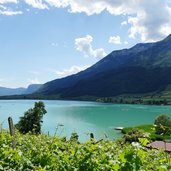 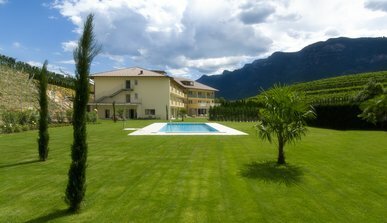 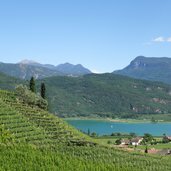 4 times holidays on the shores of Lake Caldaro in South Tyrol! 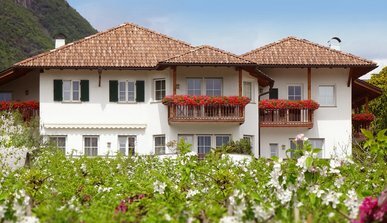 Four family-run guesthouses promise some unforgettable holidays. 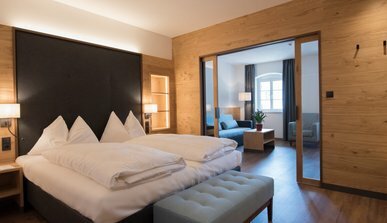 New rooms and suites awaits you (with private SPA in the room), in a small but fine Hotel, where innovation meets cosiness and elegance meets tradition. 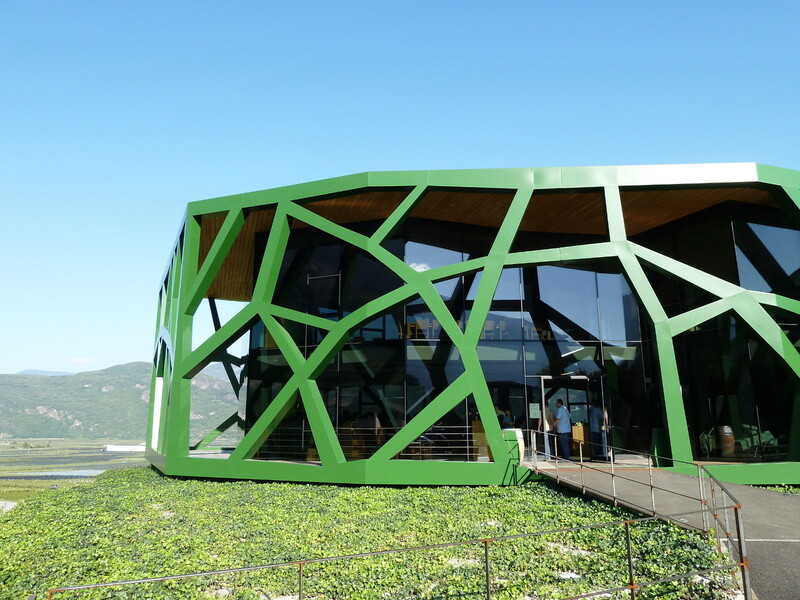 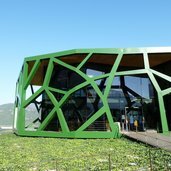 The Vineus, surrounded by vineyards lies in the cradle of the king of white wines. 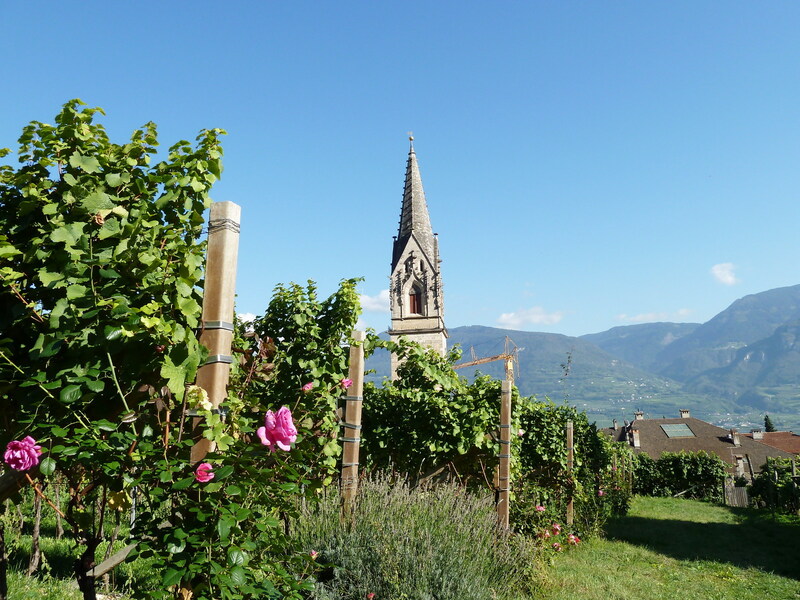 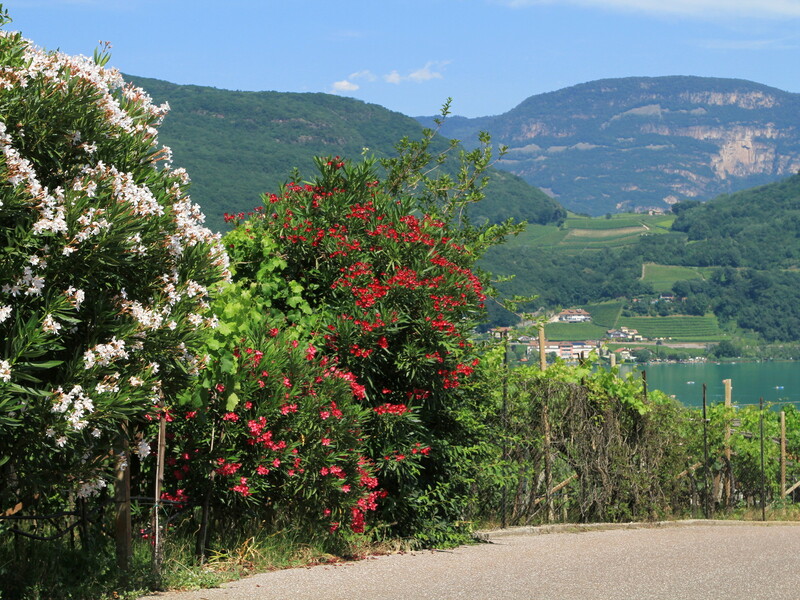 Tramin - the home of the Gewürztraminer - a characterful place with tradition and charm. 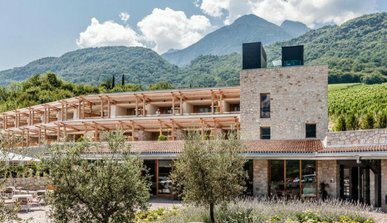 Besides peace, pleasure and a fantastic panoramic view of the natural surroundings, you can look forward to an unforgettable holiday. 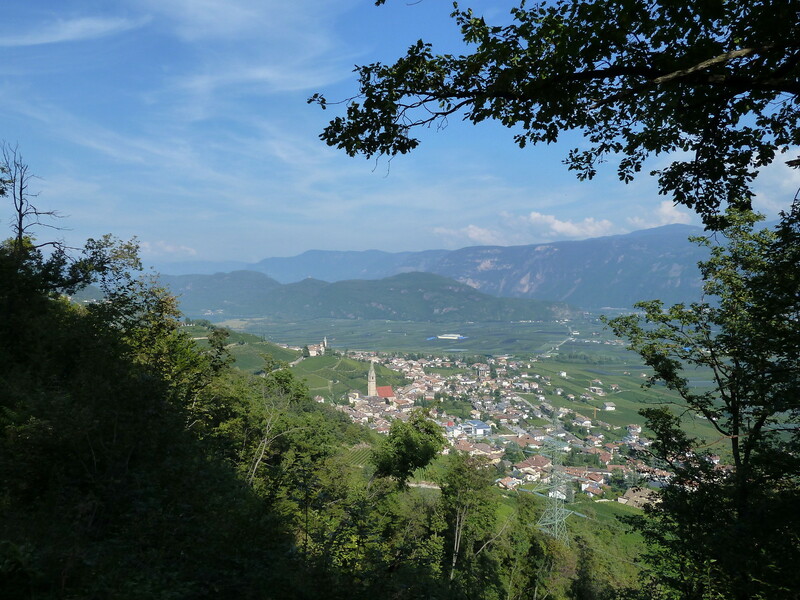 You won’t forget the breathtaking view onto the centre of town and the Mendola mountains. 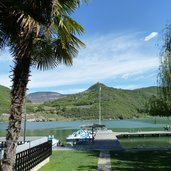 We can meet your every need, whether you looking for a relaxing vacation, or you are a sports lover. 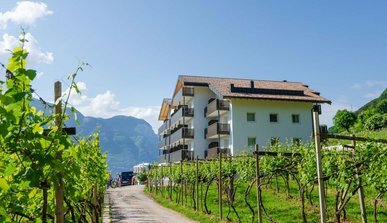 Hotel Weingarten is the ideal hotel in South Tyrol for enjoying our region. 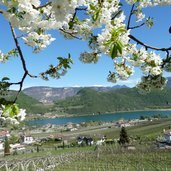 Visit the Hotel Goldener Stern and its surroundings in spring and experience the special magic that surrounds this season on beautiful walks through blooming fruit trees. 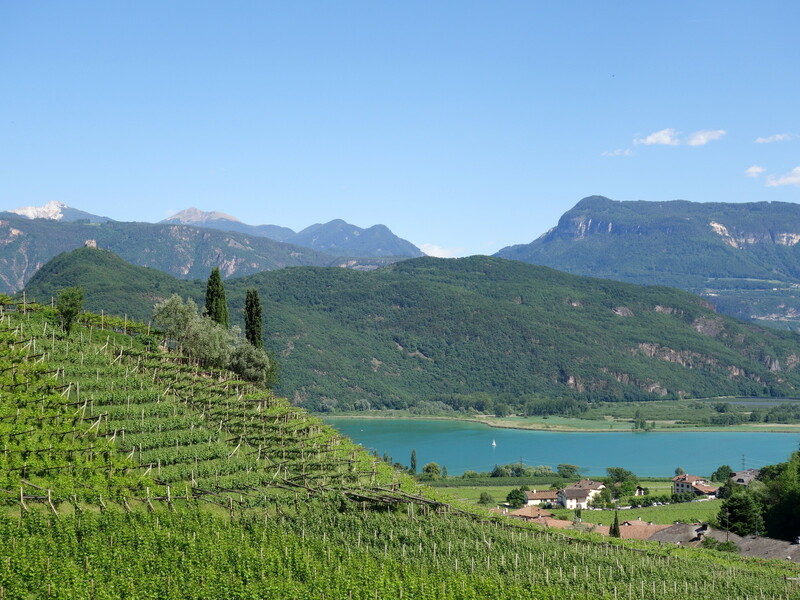 Located in the sun-drenched vineyards close to Lake Caldaro. 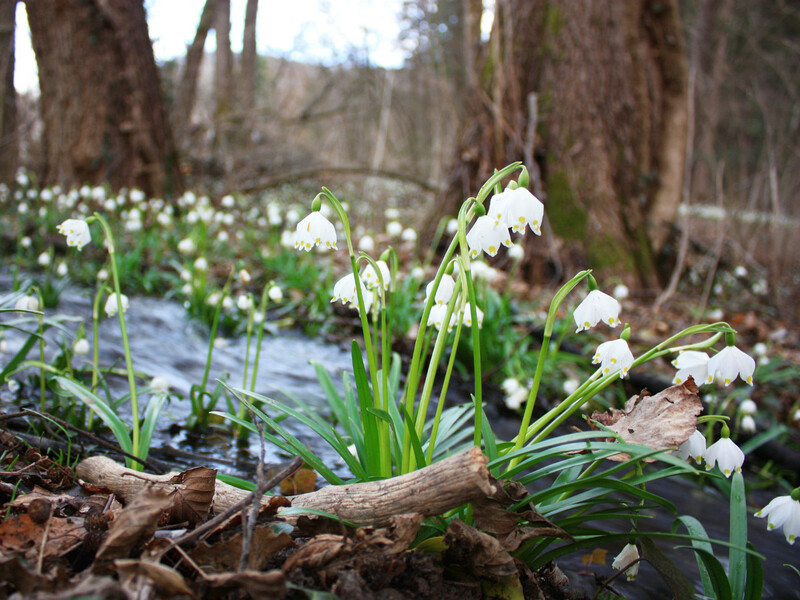 Enjoy active and relaxing spring holidays.